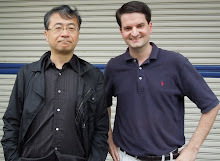 Composer Chumei Watanabe during his July 2018 interview. Photo by Brett Homenick. 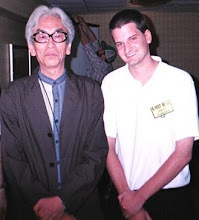 My interview with Japanese film composer Chumei (a.k.a. Michiaki) Watanabe is now live at Vantage Point Interviews. Mr. Watanabe composed the scores for numerous Nobuo Nakagawa horror films at Shintoho in the 1950s and early '60s, as well as entries of the Starman (a.k.a. Super Giant) film series. At Daiei, Mr. Watanabe composed the scores for the yokai classics 100 Monsters (1968) and Along with Ghosts (1969). It's a Q&A full of history, so please enjoy. Actor Masanori Machida. Photo by Brett Homenick. Tonight, I attended another dramatic reading presented by actor Masanori Machida, a prolific actor whose career as a child performer dates back to the early 1960s. 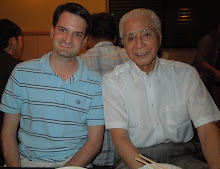 My interview with Machida-san about his career can be found here. For the reading, Machida-san wore a rather unusual costume. I quite liked it! It's always fun to see what Machida-san comes up with next. 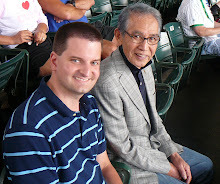 HAPPY 80TH, SAIJO-SAN! 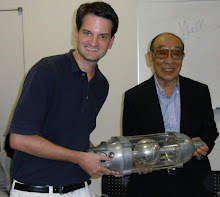 The Toho and Tsuburaya Pro Veteran Turns 80! Actor Yasuhiko Saijo dresses up as his most famous character, Ultra Q's Ippei Togawa. Photo by Brett Homenick. February 20 marked the 80th birthday of former Toho and Tsuburaya Productions actor Yasuhiko Saijo. 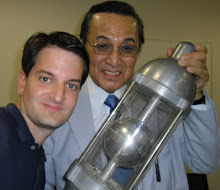 Saijo-san is best known for playing Ippei Togawa on Ultra Q (1966), but he can also be seen in such Toho classics as Secret of the Telegian (1960), War of the Gargantuas (1966), Son of Godzilla (1967), and Destroy All Monsters (1968), among many others. 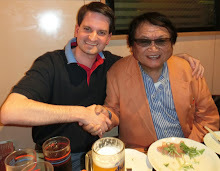 On Friday, February 22, I attended a special birthday event for Saijo-san, during which he recalled his Toho and Tsuburaya days. 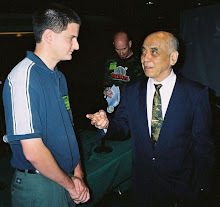 Many of the stories he recounted at the event were shared in my 2017 interview with him, which you can read here. 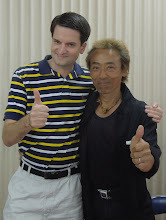 The event itself was a lot of fun, and it was great to see Saijo-san in such great spirits. Can't wait to see him again! YAPOOL, BEWARE! 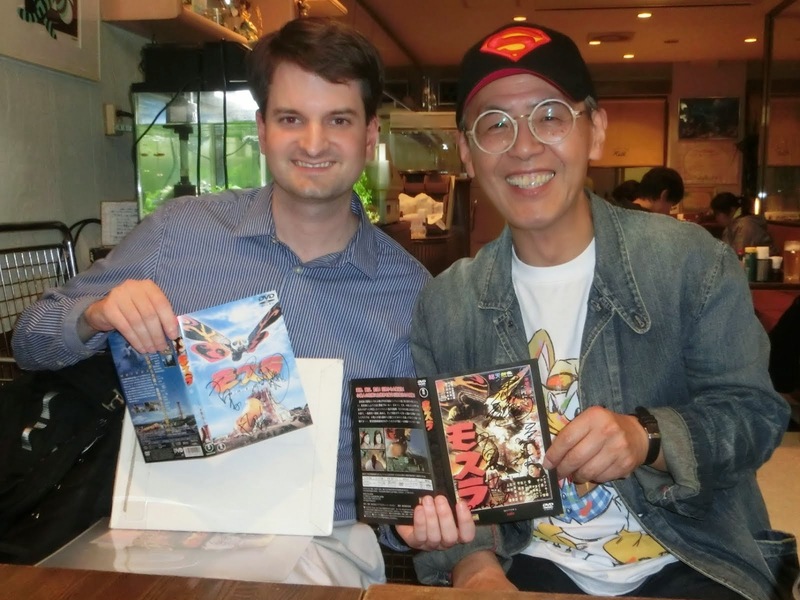 An Ultraman Ace Reunion Flies into Tokyo! Mitsuhiro Sano, Keiji Takamine, Eizo Yamagiwa, and Shigemitsu Taguchi gather at a recent Ultraman Ace reunion. Photo by Brett Homenick. On Sunday, February 17, I attended a Showa Hero event that featured a reunion of four key alumni of Tsuburaya Productions' Ultraman Ace (1972-73) that featured the series' director, main writer, star, and co-star. Shigemitsu Taguchi. Photo by Brett Homenick. First was Shigemitsu Taguchi. 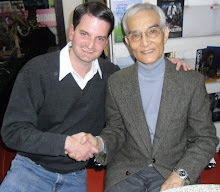 Among other series, Taguchi-san has written for Return of Ultraman (1971-72), Mirrorman (1971-72), Ultraman Ace, Jumborg Ace (1973), Ultraman Taro (1973-74), and Ultraman Leo (1974-75). Taguchi-san is a great guy, and I always enjoy seeing him. I brought a DVD booklet from Ultraman Leo for him to sign. Eizo Yamagiwa. Photo by Brett Homenick. Next was director Eizo Yamagiwa. Yamagiwa-san worked as an assistant director with Teruo Ishii and went on to direct numerous episodes of Return of Ultraman (1971-72), Ultraman Ace, Ultraman Taro (1973-74), and Ultraman Leo (1974-75) at Tsuburaya Productions. 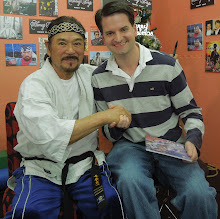 He also helmed episodes of Silver Kamen (1971-72) and the Submersion of Japan TV series (1974-75). 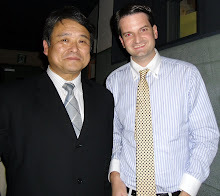 I've met Yamagiwa-san several times since 2016. 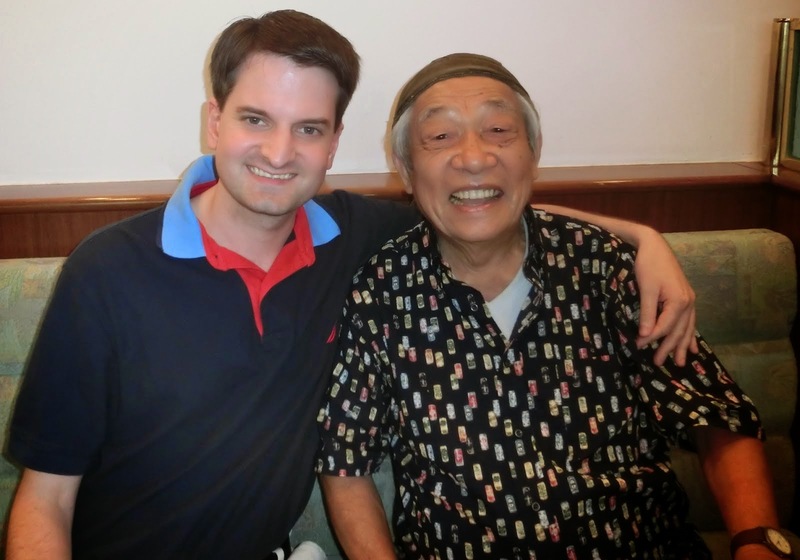 I was particularly glad to see that he's doing well and is still very healthy. Even though he can seem reserved quite often, he is very friendly, as the above photo demonstrates. Mitsuhiro Sano. Photo by Brett Homenick. 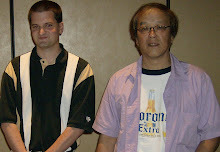 Also on hand (as a surprise guest) was Mitsuhiro Sano, who played Terrible Monster Attacking Crew (TAC) member Kozo Yoshimura on Ultraman Ace. Sano-san also can be seen in episodes of Kaiketsu Zubat (1977), Star Wolf (1978), Kamen Rider Ryuki (2002-03), and Kamen Rider Decade (2009). Coincidentally, prior to this event, I'd been thinking about how I should visit Sano-san again soon, as it had been several months since last seeing him. 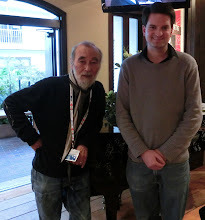 I still need to do that, but I'm pleased I had a chance to visit with him here. Keiji Takamine. Photo by Brett Homenick. 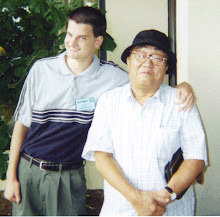 I had met all the other guests on previous occasions, but this was my first time to meet Keiji Takamine, who starred in the series as TAC member Seiji Hokuto, one half of Ultraman Ace's human alter egos. 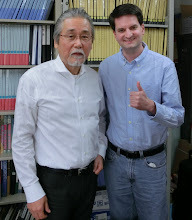 Our meeting was rather brief, but it was still great to meet Takamine-san. 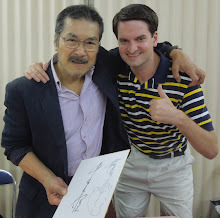 I brought three items for him to sign, one of which was my Ultraman book I bought in 2015 at an exhibit in Yokosuka. It's been signed by an incredible number of alums who've worked on all the Showa-era Ultra-series in one form or another. 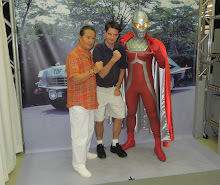 Overall, it was a great event, and almost 50 years later, Ultraman Ace still flies! Makiko Aoi. Photo by Brett Homenick. On Saturday night, February 16, I attended a special dinner event with former Nikkatsu actress Makiko Aoi. It was my first time to meet her, and while I'm not as familiar with her filmography as many of the actors and actresses I meet, I seize any opportunity I can to meet performers from the Showa era. Born on May 26, 1940, Aoi-san started her acting career in the late 1950s. She joined Nikkatsu Studios, and her acting credits include Seijun Suzuki's The Boy Who Came Back (1958), the genre-ish The Woman from the Sea (1959), and I Hate But Love (1962) with Japanese superstar Yujiro Ishihara. I arrived late due to my work schedule, but almost as soon as I sat down, Aoi-san filled my bowl with nabe. When the special guests gives you dinner, it's always a lot of fun. 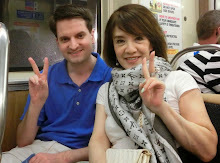 Aoi-san, as you'd expect, was very friendly. I look forward to checking out some of her Nikkatsu films in the future. Godzilla on the side of the Shinjuku Sumitomo Building. 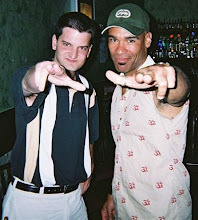 Photo by Brett Homenick. In Godzilla 1985 (1984), Godzilla collapses into the Shinjuku Sumitomo Building after losing his initial battle with the Super X. 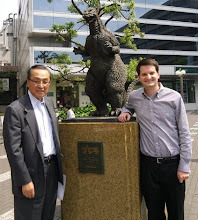 Now, Godzilla has returned to the Shinjuku Sumitomo Building, but this time in chibi form. Take a look! 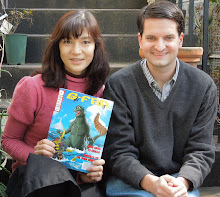 With Julie Adams in 2010. Word has circulated that Creature from the Black Lagoon (1954) star Julie Adams has passed away. I had the privilege of meeting her twice at L.A.-area conventions. The first time (in May 2009) wasn't very memorable; it was a just brief encounter. 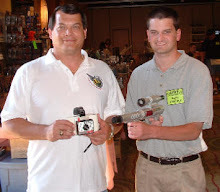 The second time (in April 2010) was much better, as I got to spend quite a bit of time at her table and talk to her about a variety of subjects, most of which had nothing to do with Creature. (Confession time: I'm not a big fan of the movie.) She was enormously friendly, and even though I met a lot of guests at that convention, she essentially tied with Son of Frankenstein's Donnie Dunagan as my favorite. I'll always appreciate the kindness she showed me. Rest in peace, Ms. Adams.